I love to travel. There is something about visiting a place that is not home that captures my imagination and quite simply excites me. I had to find a way of travelling on a budget. We are on a very limited budget. I am in fact on a medical pension which makes it even harder to travel, but not impossible. For many years I was the person that said I can’t afford a holiday. I looked on with envy as many people jetted off to sunnier climates and felt frustrated and a tiny bit left out. What I didn’t realise is that there are a few tricks and techniques which make it perfectly possible to travel – on an extremely limited budget. Book out of season – it’s one of the advantages of being a little older. Be flexible with dates, and places, you might have to compromise a little but I promise it is worth it. Let go of the 5-Star dreams. We travel on a budget and understand that if you aren’t paying 5-star rates you won’t get a 5 star hotel. However, you might get a really clean self-catering apartment in a perfect location. Choose self-catering. Although we have tried various options, but if I am honest I do prefer self-catering. It is fun going to the supermarket and figuring out what might be delicious. It is also a lot cheaper. A bottle of wine, or even a bottle of water from a supermarket is more affordable than one in a restaurant. Eating out is cheaper than at home – just remember to do your research. Trip Advisor is great for knowing just exactly what you are getting. I love the European café culture – so am always happy to pay for a great coffee and a pastry and sit and write in my journal or simply watch the world go by. Save! Yes, no matter how cheap it is savings are going be needed. I am personally very happy to have baked beans on a baked potato for dinner for a few nights and know that I can make the holiday payment. Choose to pay monthly. I find it quite difficult to save up a lump sum, but many holiday operators offer the option of paying monthly. We allocate 10 Euros each of our weekly budget to paying off holidays. It is easy enough to find 10 Euro and we are heading to our third European holiday this weekend. Research transport options. You might be able to pick up a bus pass for the week for as little as 10 Euro. I love to walk on holiday but sometimes you need to catch a ride. Think of the extras. I used to get caught by extras like check-in fees, and parking. Parking can be quite a chunk of spending money if you don’t get it right. One option would be to stay at an affordable Dublin hotel which offers a shuttle to the airport and parking while you are away. We are delighted to be staying at the Carlton Hotel Blanchardstown before leaving for Turkey. An added advantage is that we need to be at the airport at 4am. This way will be rested and ready for our holiday. Check out mobile phone and internet access with your service provider. The last thing you want is a rude bill on your return. It is exciting to go on holiday and the best part is when everything is sorted and paid for before hand. I am off to pack my bag, tick off my checklist and get ready for Turkey. 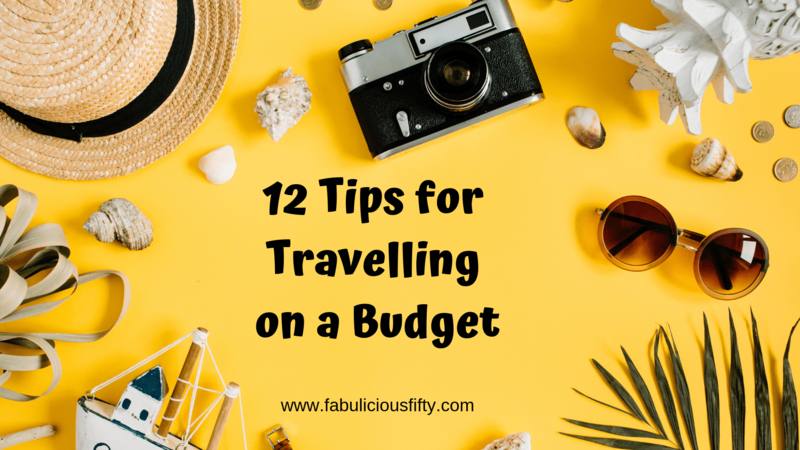 I hope you are inspired to go travelling on a budget. Follow me on Instagram @fabulouskerry to see how we get on. « I went back to work in the corporate world at almost 50!